Posted on January 29, 2019 by treelawyer	tagged. It made sense to me. But it turns out that, at least in Kentucky, the ends do sometimes justify the means. That’s the principal lesson to take away from today’s case. And in a strange way, that makes good sense, too. In yesterday’s case, a Kentucky court of appeals quite logically held that where Kentucky law said that a county engineer is responsible for keeping highways clear of fallen trees, a county engineer could not argue that he did not have to comply with the statute simply because the Louisville area metro government decided to organize its department of public works differently. The duty, the Court said, was not held discretionary. Instead, it is ministerial. That is, the duty is clearly stated in law, and all the engineer has to do is perform it. But when County Engineer Rick Storm went to trial and admitted the statute made him responsible – regardless of the fact he never knew it and had no ability to discharge the statutory obligation even if he had – the jury listened to all the evidence, heard the court’s legal instructions, and yet inexplicably held that Rick was not liable. Between the closing arguments and the deliberations, judges take jurors on a pseudo crash course through law school. However, law students receive an entire semester of guidance to become versed in the intricacies of substantive law (approximately 48 in-class lecture hours in addition to in-home studying), whereas jurors receive complicated instructions, that cover wide ranging topics, and take between 90 and 120 minutes to disseminate. And what do we expect from jurors? We expect them to listen to, process, retain, and apply a burdensome breadth of information throughout the course of a trial. We demand they understand at least two different legal theories, digest all testimony and documentary evidence, contemplate issues like credibility, truthfulness, bias, and more. If that was not enough pressure, we require them to almost instantaneously understand dense legalese that attorneys have had the luxury to research and study for hours, and in many cases, years. Certainly, the authors had a point. You take a group of legal laymen, bore them to death in a warm, sleepy courtroom, cram them with arcane legal jargon, and set them loose to apply knowledge they have only heard once. 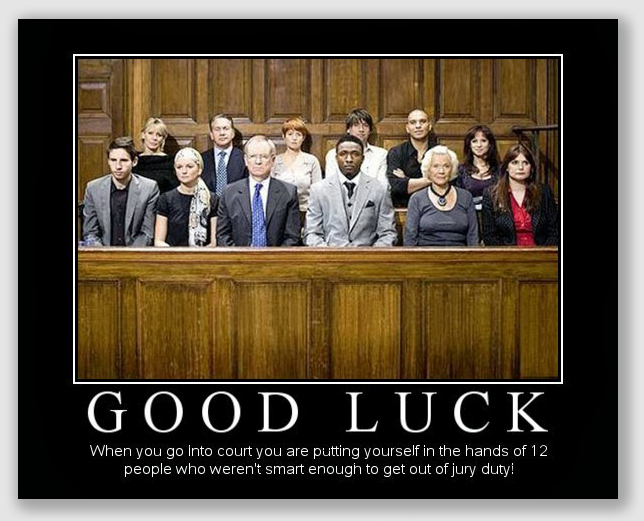 It’s as amazing that juries ever hit the mark as it is unsurprising that anyone with any sense avoids jury duty. Yet, the more I thought about the jury letting Rick off the hook, the more sense that inexplicable decision made. The end is getting fallen trees off roads . If Louisville chooses other means to reach the end, why does it really matter? 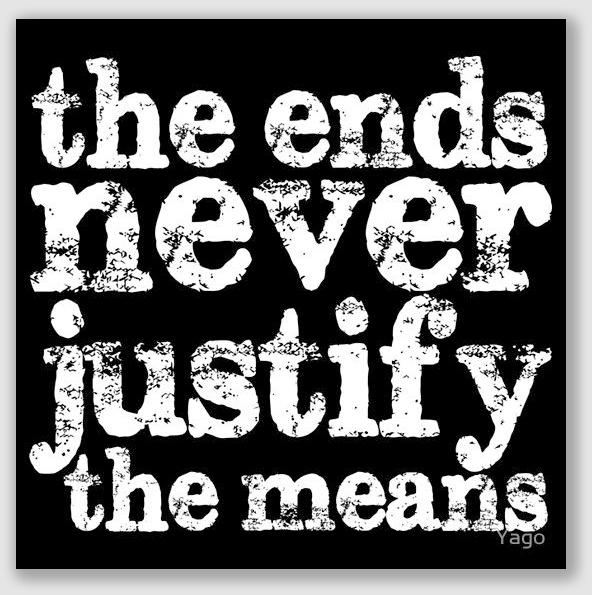 It is the end that justifies the means, even if those means do not include Rick. Storm v. Martin, 540 S.W.3d 795 (Supreme Ct. Ky., 2017). A windstorm that blew across Louisville dropped power lines and trees. Three days later, Lou Martin was riding his motorcycle on Phillips Lane when he collided with a downed tree in the roadway. Lou was badly hurt. Lou sued Ted Pullen, Jefferson County Director of Public Works and Rick Storm, who was the Metro Louisville County Engineer, in their individual capacities, alleging negligence due to their failure to remove the downed tree or to warn motorists of the hazard. At the time, Rick reported directly to Ted. Rick and Ted filed a joint motion for summary judgment on grounds that they were entitled to qualified official immunity in their individual capacities. The trial court agreed with Ted but denied the motion with respect to Rick. Rick appealed. The Court of Appeals noted that KRS 179.070, which sets forth the powers and duties of a county engineer, specifically states that “(1) [t]he county engineer shall… [r]emove trees or other obstacles from the right-of-way of any publicly dedicated road when the tree or other obstacles become a hazard to traffic[. ]” Rejecting Rick’s argument that he was not aware of the statute and that the operations and maintenance division of the Department of Public Works was the entity responsible for tree removal, the panel cited Wales v. Pullen (a contemporaneous case against Rick involving a motorist injured by a downed tree in the same windstorm, which we covered yesterday), holding that despite the fact “the Louisville Metro Government Department of Public Works may have chosen to structure its department differently, “based on the statutes as written, a member of the public… would expect the county engineer to remove trees, as evidenced by the clear statutory mandate and power to do so.” The Court said the statute’s use of the word “shall” rendered Rick’s duty ministerial. Thus, he had no qualified immunity. After that, Rick went to trial. He testified that as county engineer, he and his staff were a division of a larger Department of Public Works, that he had never been responsible for trees, and that the task had always been performed by the operations and maintenance division. Rick admitted that he was unaware of KRS 179.070, and that no one ever told him tree removal was part of his job responsibilities. In fact, Rick said his department did not even have equipment to remove trees. Similarly, Greg Hicks, the Assistant Director in charge of the operations and maintenance division of Public Works, testified that it had always been his division’s responsibility to remove trees from the roadway. At the close of all evidence, Lou moved for a directed verdict, arguing that Rick had proved the plaintiff’s case. The trial court denied the motion. The jury then returned a unanimous verdict in favor of Rick, finding that Lou had not proven that Rick failed to comply with his duty as set forth in the instruction.” Lou asked for a judgment n.o.v., pointing out that Rick’s testimony conclusively established that he failed to comply with KRS 179.070(1)(j). Lou argued that the jury’s question to the trial court during deliberations showed jurors were less concerned with Rick’s duty and more concerned with whether a judgment would wipe him out financially. The trial court was unmoved. Not so the Court of Appeals. It reversed and remanded for a new trial, holding that the jury’s findings that Rick did not fail to comply with his duty was against the weight of the evidence, and overlooked the specific duty the statute imposed on Rick. Rick appealed to the Kentucky Supreme Court. Held: The Supreme Court disagreed. It found that the record held ample evidence on the issue of Rick’s duty as county engineer, but the evidence supported the jury verdict rather than cut against it. The trial court’s jury instructions did not misstate the engineer’s duties. After the jury heard extensive testimony that the director of public works had assigned tree removal duties to the assistant director in charge of operations and maintenance, and after being instructed on the specific duties required of the county engineer, the jury unanimously found that he had not breached his duty, holding that the statute was directory and substantial compliance could satisfy its provisions. Clearly, the Court held, the intent behind KRS 179.070(1)(j) is to ensure that trees or other obstacles do not block a public roadway. To achieve this goal, the statute requires that, when such obstacles become hazardous, they must be removed. 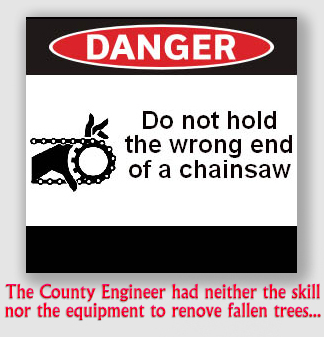 Section 179.070(1)(j) does not mandate that this duty is non-delegable, nor does it provide guidance for how the county engineer is to actually ensure the removal of hazardous trees from a roadway.